Your Shopping Guide to Instant Pots, Slow Cookers, and More! Are you looking for some convenient cooking appliances to make your life a little easier? We’ve put together a list of 10 slow cookers, pressure cookers, rice cookers, and instant pots to help you shop! If you aren’t sure what’s the purpose of these products, here are some clarifications before you get into the list. 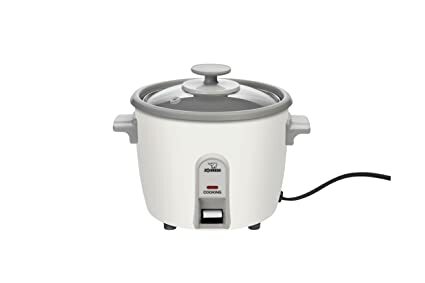 A rice cooker (or steamer) has a heat source, cooking bowl, and thermostat. It boils or steams rice, and is great for people who feel that they have trouble cooking rice perfectly on their stovetop. A pressure cooker boils the liquid inside (such as water, broth, etc.) and uses that steam to cook whatever food you wish to cook inside. It allows you to cook in bulk in about half the time it would normally take. A slow cooker simmers, cooking food at a much lower temperature than other methods such as baking, frying, and boiling. 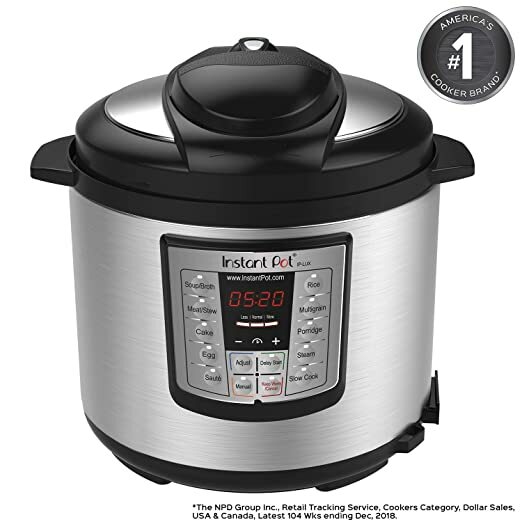 Instant pot is actually a brand of kitchen appliances. They combined the jobs of all the appliances listed before into one versatile multi-cooker. With those definitions out of the way, let’s get into the products. These are all available on Amazon. 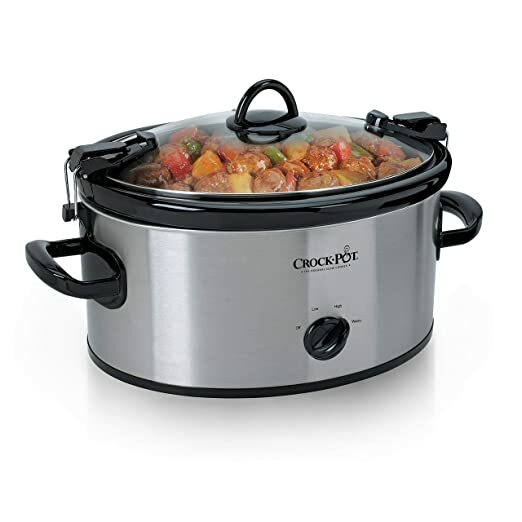 This 6-quart Crock-Pot can be set to high to cook meals quickly or can be set to low while you leave your dinner to cook as you do other things. It also has a warm setting to allow you to leave your food at serving temperature for a while if necessary. The stoneware and glass lid are also dishwasher safe. The stoneware is also microwave and oven safe (except for the broiler). It can serve 7+ people and costs $22.49. 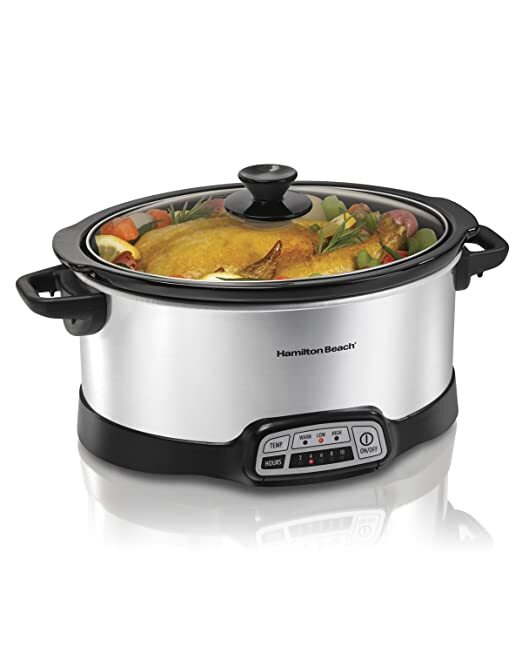 This Hamilton Beach Slow Cooker Crock has a touch pad and flexible easy programming options. The temperature can be set to warm, low, or high and is automatically set to warm when cooking time is up. Cooking time can be set to 2, 4, 6, 8 or 10 hours. The glass lid and stoneware are dishwasher safe. The price for this slow cooker is $44.99. This 6-Quart Instant Pot has six uses in one device. It’s a programmable pressure cooker, slow cooker, rice cooker, sauté, steamer, and warmer. It has up to 240 minutes pressure-cooking up to 24 hours delay start, automatic “Keep Warm” up to 10 hours, and 3 temperatures in Sauté & Slow Cook. The stainless steel inner cooking pot is made from food grade 304, has no chemical coating and a 3-ply bottom for even heat distribution. 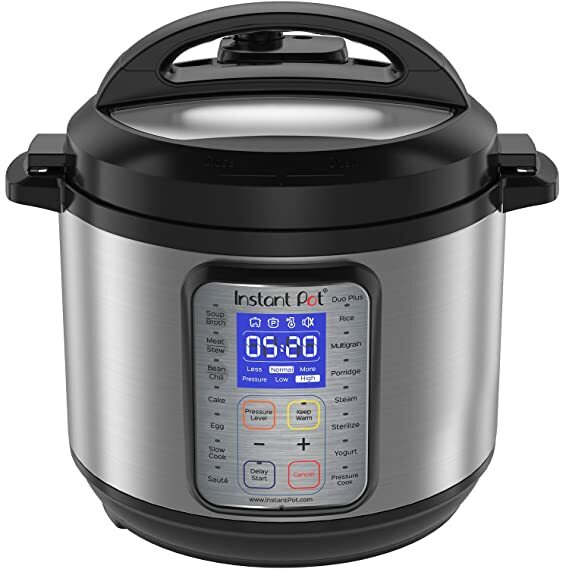 It is available in the 3 quart and 8 quart sizes, but the price for this 6-quart Instant Pot is $79.00. 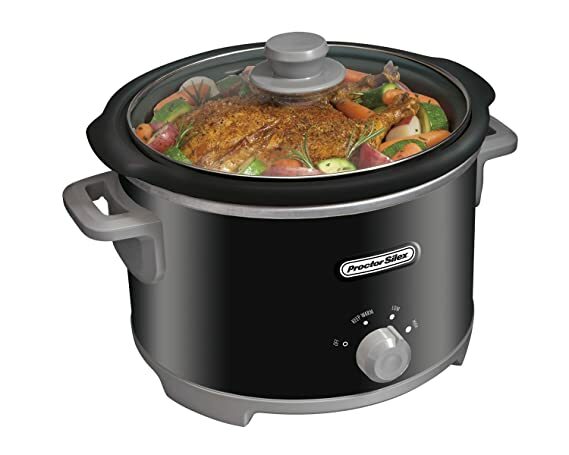 This Proctor-Silex Slow Cooker has dishwasher safe, removable stoneware for easy cleaning. It also has a “keep warm” setting and the glass lid dishwasher safe. It has a 4-quart capacity so can take less space on a kitchen counter than bigger options. It is available in two colors: black and white. This slow cooker is on the more affordable side, with a price of $24.99. 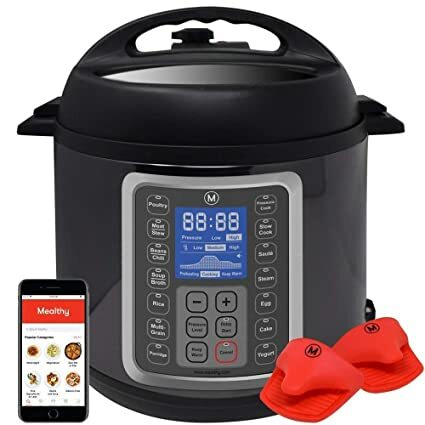 This MultiPot Pressure Cooker can pressure cook, slow cook, sauté, steam, make cakes, pasteurize, make yogurt, cook rice, and warm. It has a big cooking pot as well as a steel steamer basket, both of which are stainless steel. It also comes with an extra silicone gasket, silicone mitts, steamer basket, 4 cm-raised steam rack/trivet, ladle, rice paddle, and measuring cup. An 8 quart MultiPot is also available, but this 6 quart-MultiPot costs $99.95. The Instant Pot DUO Plus has multiple uses in one appliance. It’s can pressure cook, slow cook, cook rice, sauté, steam, warm, sterilizer, and make cake. It has a stainless steel cooking pot, steam rack and lid, which are easy to wash. The large blue LCD display, multiple cooking programs, and quick adjustments make it easy to use. It’s available in 3 quarts, 8 quarts, and a bundle, but the price for this 6 quart pot is $119.95. This pressure cooker is a little different from the rest. It’s meant for those who want to can and seal foods. It holds approximately 19 standard regular mouth pint jars or 7 standard regular mouth quart jars. It is available in 10.5 quarts and 15.5 quarts for those with less canning needs. But it’s also available in even bigger sizes for those who do much canning: 25 quarts, 30 quarts, and 41.5 quarts. 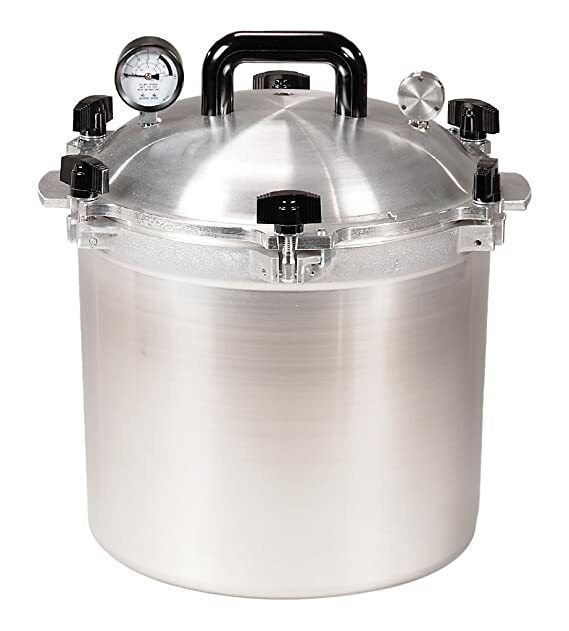 The price for this 21.5 quart pressure cooker/canner is $279.95. The multi-menu cooking functions of this Zojirushi Induction Cooker include settings for white, mixed, sushi/sweet rice, porridge, brown, GABA brown and quick cooking. 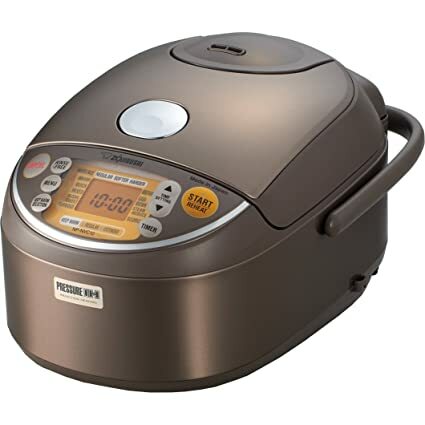 It has a umami setting to extend soaking and steaming time for better rice, and a steam-reduce setting to reduce steam to 50-percent of regular setting. The scorch setting toasts rice to a crispy golden brown, ideal for special dishes. It is also available in 10 cups, 1.8 liters, but the price for this 5.5 cups, 1 liter cooker is $349.00. 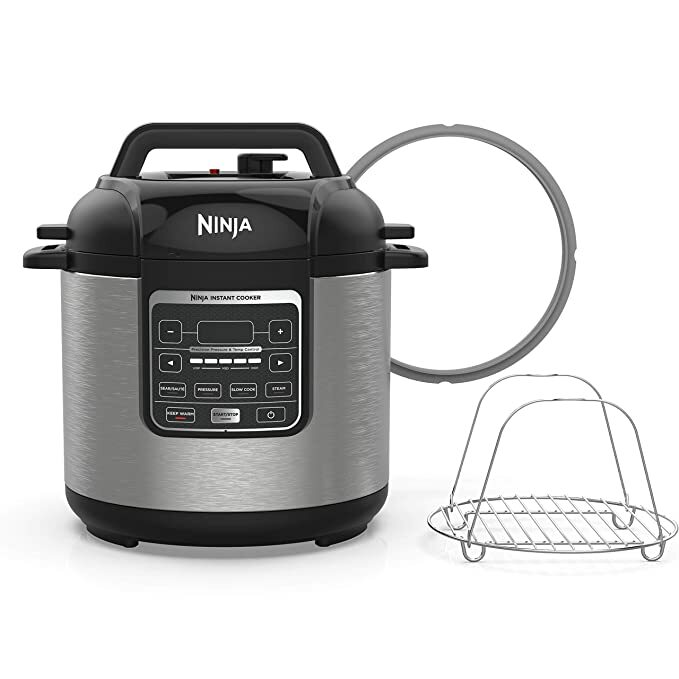 This Ninja Instant Multi-Cooker has a digital, programmable control panel with 5 built-in cooking functions: Pressure Cook (High and Low), Slow Cook, Steam, Sear/Sauté, and Keep Warm. The price for this cooker is $89.99. This 3-Cup Zojirushi Rice Cooker is the perfect size for the person who mostly cooks only for themselves. It has an easy-to-use single switch control, a see-through glass lid with stay cool knob, stay cool handles for easy transport, and a durable nonstick inner cooking pan. It’s also available in two bigger sizes: a 6-cup and 10-cup cooker. The price for this 3-cup rice cooker is $39.95. We hope this guide helps you find the right cooking appliance for you! To help you get started cooking with your new appliance, check out our Instant Pot Recipe Archives and our Slow Cooker Recipe Archives. For more delicious recipes, download our Food Monster App where we have over 15,000 vegan and allergy-friendly recipes.